If you are a webmaster and you have an iPhone then prepare yourself, because here is a list of ten of the very best iPhone apps for webmasters. These apps will help you to manage your website, on the go and with ease. Best of all these apps are free to download. With the exception of Chartbeat and Analytics Agent Lite, these apps are fully functional versions, and each is useful in its own unique way. 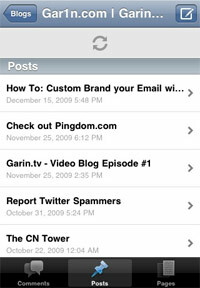 The WordPress for iPhone app is the ultimate application for any WordPress blogger. WordPress for iPhone has three main components: managing comments, posts, and pages, all of which are very straightforward and easy to use. Note: If you have a self-hosted wordpress blog (as opposed to using WordPress.com) you will need to adjust writing settings before you can use it. The reason for this is that the iPhone must first be verified as a remote publishing client before it can be used. For this verification to be made first go to Settings and then Writing and select the XML-RPC checkbox. Doing so will grant you access to your blog once you verify your user credentials. Analytics Agent Lite works with Google Analytics and is very easy to use. Simply enter your Google Analytics account and password and you will be able to view your analytics for any sites you have set up with Google. The preferences allow you to specify the timeframe you want to analyze. My only gripe is the small ads that cover part of the graphs, but since the app is free I can’t really complain. 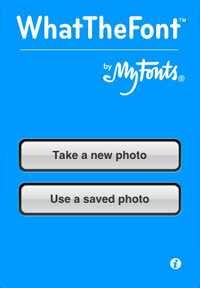 WhatTheFont is a neat app that allows you to take a picture of text and then identify it. I tried taking a picture of the word “return” on my keyboard, but my hand slightly shadowed the picture so the recognition did not turn out very well. Make sure if you are taking a picture of text that there are full sentences to take a picture of, instead of just a single word, and plenty of light. 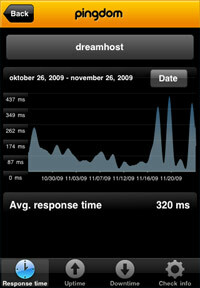 Pingdom would be on this list even if it was posted elsewhere on the Web because the new Pingdom iPhone app 2.0 is an essential tool for any webmaster with an iPhone that cares about minimizing site downtime. 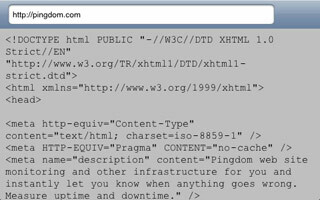 Pingdom is trusted by sites like Twitter and Alexa and offers an iPhone-integrated website monitoring service that will notify you via email, SMS and Twitter if your website goes down. 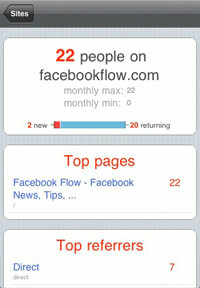 The latest version of the Pingdom iPhone app even supports iPhone push notifications. The app also contains cool graphs and more so check out the full post to learn about all of the neat new features. 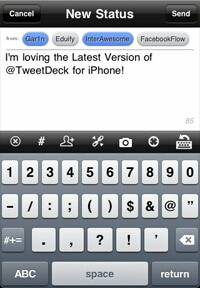 TweetDeck recently released a new version of their iPhone app as well. TweetDeck allows you to manage several accounts, in a way that is very much like the desktop version of TweetDeck, which is available for either a mac or pc. TweetDeck tweets can be integrated into your website with a custom Twitter profile widget. 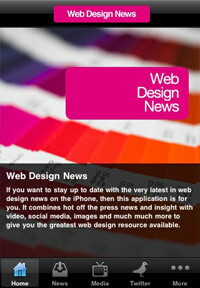 The Web Design News app is just that, an app with web design news. 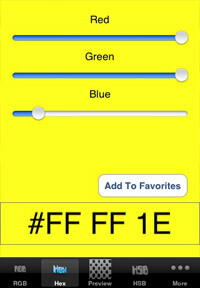 It also features tweets from web designers so that you are always up to date with the web design world. The best way to test where you stand in terms of SEO is to see where your content ranks from related Google searches. 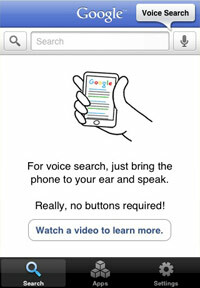 The Google Mobile app provides quick search ability, and even voice searching features. (I tested the voice search and it failed for me but perhaps Google will be able to better recognize your voice.) The Google Mobile app also provides quick access to a variety of other Google apps, such as Docs, Latitude, Notebook, and more. 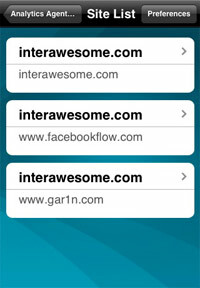 WebSource is a very simple app that shows the code of any website after you enter its URL. This app does not even have a website, but it does have a cool icon, and I consider it a proud addition to my app collection. That’s not all. If you are a sysadmin or a webmaster check out this list of 12 great iPhone apps that will allow you to test your websites connectivity, access your desktop with VNC, and more! Color matching is something that I noticed is available from the app store here called: “cliqcliq Colors.” This App seems to be of high quality but I have not downloaded it so I can’t confirm that. The only downside to “cliqcliq Colors” is the $2.99 pricetage. I prefer to use the “Color Calculator” for free. You might be surprised at how easy it is to match a color with the “Color Calculator.” As you move the dials to select a different color a full screen preview of the color you have chosen is displayed. Thanks for the list of apps. A couple of those seem really helpful!